Here’s something I’ll bet you don’t know: While a trial in a criminal or a personal injury case, or even a contract dispute, may lasts days or weeks, or even months, litigants in a typical Arizona Family Law Trial are rarely allowed more than one day to present their entire case. Family Law trials are often high-conflict matters involving multiple complicated issues such as divorce, contested custody, parenting time, child support, spousal support, and division of property and debts. Sometimes they involve domestic violence issues. Other times they entail dividing stock options, determining the value of a business, or selling real estate - all of which may require appraisals and expert testimony. Sometimes they involve hidden assets and forensic accounting. These are not easy cases. 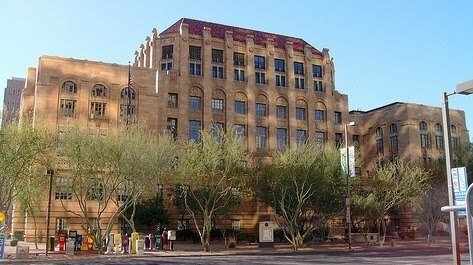 Judges have the authority to allow a multiple-day trial, and sometimes they will do so; however, litigants in Arizona Family Law courts will typically be given one day or less for trial; and each party is allotted one-half of that time in which to present his or her side of the case. Our attorney, Gary Frank, has been a courtroom litigator in the Family Law arena for over thirty years, and is a strong and committed advocate for his clients. In addition to being a litigation attorney, Mr. Frank has acted in the capacity of a Judge Pro Tem in the Maricopa County Superior Court. This has given him an understanding of the inner-workings of the court, and a unique perspective that most attorneys lack. He has also acted, for many years, as a professional mediator of Family Law disputes. If you are in need of a consultation regarding any area of Family Law, please do not hesitate to give our office a call today at 602-383-3610; or feel free to contact us through our web site at www.garyfranklaw.com; or by email at gary.frank@azbar.org. We look forward to hearing from you.